It has auto pneumatic clamp and cutting assembly. This allow the wrapping cycle accomplished in an automatic manner without needing the operator acttach the film on the pallet and cut the film after wrapping finished. It largely increase packing efficiency and time saving. Max. wrap size (mm)	 1200(L)×1200(W) ×2400(H). OMRON PLC control wrapping process. 3-12RPM variable turntable speed by frequency changer.. Separate variable carriage up/down speed. Looking for ideal Stretch Film Wrapping Manufacturer & supplier ? We have a wide selection at great prices to help you get creative. 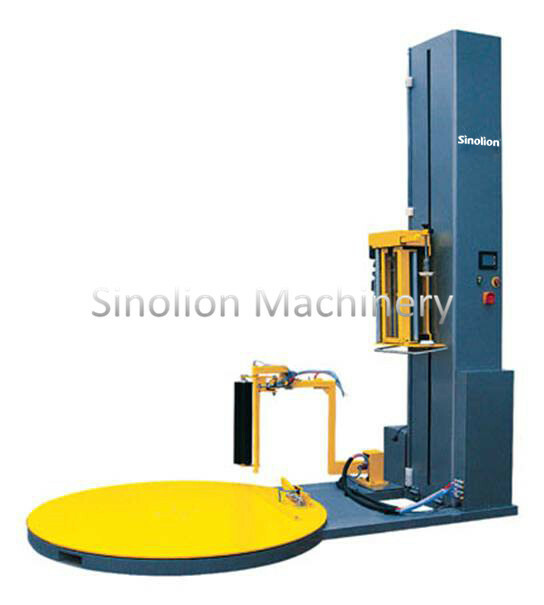 All the Wrapping Machine are quality guaranteed. We are China Origin Factory of Stretch Film Wrapping Price. If you have any question, please feel free to contact us.